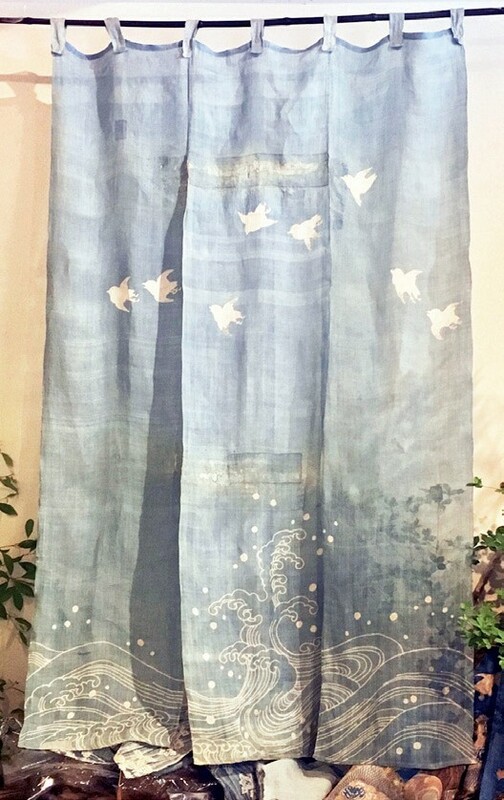 From kimono dealer Fuji Maeda, this delicate original indigo Japanese noren or curtain from around early 1900, with hand-drawn depictions of plover and waves, costs £750 at the Textile Society’s October 13 fair. One of the society’s 2018 bursary winners is Yusra Makhdoomi, a postgraduate student at the Royal College of Art, for her vintage textiles collage invoking her Pakistan heritage. Makhdoomi will be among the bursary winners showing their work at the society’s upcoming antique and vintage textile fair on Saturday, October 13, at Chelsea Old Town Hall, London SW3. With a particular emphasis on textiles sourced from across the globe, 30 top specialist dealers will be exhibiting. They include Martin Conlan with Chinese woven wedding blankets, Olivia Dell, who will offer Eastern European embroideries, and Clive Bell selling Oriental rugs.